Home 2017 F1 Valentino Rossi Why F1 needs a Valentino Rossi ? 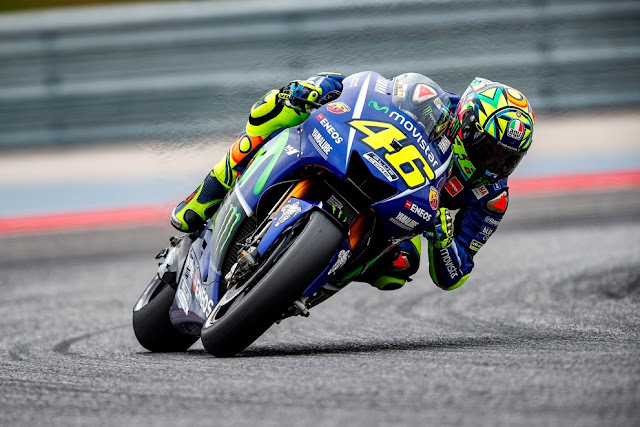 Why F1 needs a Valentino Rossi ? If ever proof was needed that motorsport needed personalities, that fact came crashing home to me watching last weekend's MotoGP from the Misano track in Italy. The racing was excellent, as it always is, in all the disciplines, with the wet weather creating problems and the very best, the elite of the riders, raising their game above the plain good. There was something missing for me though with the absence of Valentino Rossi, out of racing for who knows how long with a broken leg, in fact a broken tibia and fibia, sustained when he was riding his enduro motor bike. Nothing like doing it properly and the doctor's prognosis is that the recovery may take well over one month, although Rossi hints that he will try for the next round at Aragon giving him a recovery time half of the doctor's estimate and who could doubt that he will make it? Rossi, at 38 years of age, consistently battles with the leading riders on the MotoGP grid, many of them being almost half his age but he still races just as hard as he ever did and just as successfully. He is already a nine-time world champion and was well involved at the top of the 2017 championship, vying for a 10th title. Much more than all of that is the aura that Rossi brings to the sport with tens of thousands of devoted fans all over the world. He, almost single handedly, brought the sport of Grand Prix bike racing back into the consciousness of people all over the globe. Love him or hate him, and there are as many of the latter as the former, he brings personality plus to the sport with his own brand and his own very particular way of talking and relating to the hoards of fans who flock to the circuits. Most of them dressed in yellow 'VR46' T shirts, a colour that Rossi seems to have made his own. Formula 1, with all it's well known names, does not seem to have a comparative 'personality'. Lewis Hamilton, Fernando Alonso and Daniel Ricciardo, plus a decent helping of Max Verstappen, are currently the most internationally famous names and they do indeed polarise the sport's fans into either supporters or critics, devotees or haters. 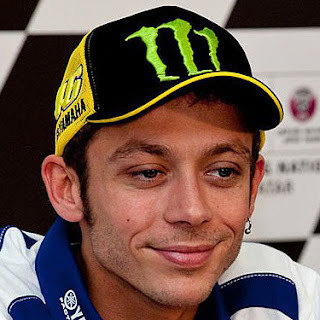 They do not seem to engender the same sort of following, almost worship, that Rossi manages, almost alone, in MotoGP. It could be that the nature of MotoGP with riders battling each other, on very close terms with the top four, six or eight of them swapping positions almost from corner to corner and all of them visible in their particular styles, makes it easier for the fans to relate to them. Rarely has that been the case in recent years of Formula 1 with drivers almost invisible in the car cockpits but still in the recent past there have been heroes of the magnitude of Ayrton Senna or Michael Schumacher who have had a similar international following to that of Rossi. He is already a nine-time world champion and was well involved at the top of the 2017 championship, vying for a 10th title.